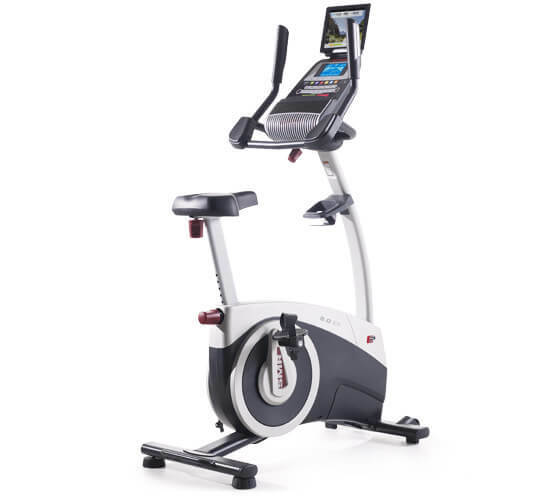 The 8.0 EX is one of two exercise bikes in ProForm's upright series (along with the 14.0 EX) offering a lot of features for the price. If you're looking for an entry level bike with built in workouts and some comfort features, this one might be a good choice for you. The ProForm 8.0 EX features a 5" backlit display which gives you all of the important workout metrics such as distance, time, calories burned, speed and heart rate. The ProForm 8.0 EX is one of the few entry level exercise bikes to offer the ability to tap into an endless library of customized workouts. 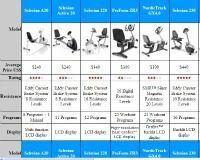 With iFit Coach technology, you have access to diverse workout programs on top of the 30 that are built into the bike. You can also choose any location worldwide via Google maps, and it's as if you are actually biking there...that feature alone is worth the iFit membership fee. As far as the bike itself, construction is solid and it is well designed. It's certainly not a high end bike, but for $499 on sale you really can't expect it to be. As we mentioned, the ProForm 8.0 EX has 30 different workouts built into the bike, including calorie, intensity, speed and incline, so you can choose the one that most appeals to you, or change it up from one ride to the next to challenge yourself. 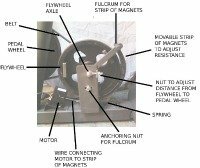 The bike features Silent Magnetic Resistance (SMR) which is relatively quiet and smooth. You can measure your heart rate either with the grips or more accurately with a wireless chest strap if you have one. You have 25 resistance levels to choose from. The seat is large and comfortable...the pedals are extra wide. Some of the extras include a tablet holder, transport wheels, freewheels clutch, workout fan and iPod compatibility for your music with a sound system. We like the 8.0 EX, as it gives you a lot of capability that you typically don't get in this price range. Along with the large variety of workouts built into the bike, iFit Coach gives you even more plus other features to keep you motivated and keep your routine varied. Also take a look at the GX 4.4 Pro from NordicTrack, which is very similar but might be more appealing to you. Both bikes are great entry level choices for your home gym, and come with solid warranties to back them up...something else you don't often find on exercise bikes in this price range.